Motivation is one of the key factors that empowers or inhibits students to engage in or disassociate from the learning process. We, as higher education professors not only have to deliver quality subject content, but be motivational triggers for our students. We prepare classes, call attendance, design projects, manage classrooms, create assignments, deliver lessons and attend workshops, but a professor is more than that. Professors are people who are aware of students’ uniqueness: their goals, their attitudes toward objectives, their persistence, their ambition, in other words, their motivational level. We know that motivation is not learned in books nor can it be generated in a blink of an eye. We cannot come to class with a big smile and proclaim: You are the best! Such behavior will create embarrassment and loss of credibility. To implement motivational techniques, we have to remember that our students are adult learners and as such they are motivated not only with encouraging words but by other key factors. First, we have to be able to connect the classroom teachings with their reality. They have to be capable of seeing a connection between what is being taught in the classroom and their real world whether this world is in the present or in the distant future. Eliciting questions is a good approach to establishing connections. For instance, my classes have students from different majors and most of their questions are: “My major is Ultra Sound, what am I going to do with ‘data’ or why do I need to know what ‘data’ is?” Or “My major is Radiology, when am I going to use ‘input devices’?” Or “My major is Business Administration, when am I going to use ‘IP addresses?” These questions offer a great opportunity for us to link the classroom to their expectations. I use practical examples to answer these questions. Another key factor we can use to increase their motivational level is to expose our students to the benefits of learning. That is, students benefit by gaining competitive advantage in the labor market. To exercise this concept I use the creation of scenarios. For instance: There is one vacancy in Palmetto Hospital, and they need one nurse. Then I select two students whose majors are nursing. Both students graduated with the same GPA; both have similar demographic characteristics, both are good in nursing; however, student B learned computers (a subject that is not related to nursing) while student A just learned nursing. Both students go to the interview with their resumes and both passed the interview. However, through screening their resumes, the hospital finds out that student B has computer skills (once again, a skill that is not related to nursing) while the other candidate does not. Once the scenario is set, I ask the questions), “Who do you think the hospital is going to hire?”“Who would you hire?”The answer is expected as all students say they would hire student B. This scenario produces two outputs: 1. Students feel the need to learn computers and 2. Their level of participation increases. (I have noticed that the number of questions rises and opinions and comments are easier to obtain). Providing constant feedback on how students are doing and the result of their efforts is another motivational factor I use. Every assignment, lab, homework, oral presentation, or intervention is immediately evaluated and returned to the student. For instance, an exercise that produces good results is getting students to come to the front of the class to explain or clarify a concept. Once the student is in the front with a marker in hand and writing on the board, the exercise flows easily. Once the presentation has ended, the student is granted extra grade points for participation and if need it, I provide some structure to the presentation. Another feedback approach is consistently and constantly informing students about their academic activities. In this order of ideas, I have created a webpage or blog where my students can find at any time, from anywhere, and using any portable or mobile device results of their academic performance. Home works, assignments, quizzes, exams and labs or any other measurable activity along with answer keys for every performed activity can be found on-line. Time frame is crucial, and once the activity is completed, results should be posted within 12 hrs. or less. Otherwise, students lose interest and will wait until class to inquire. Cooperative learning is also an element for motivational purposes. Students need to participate in small groups during the learning process to move them beyond understanding to application, analysis, synthesis and evaluation. Work group activities provide opportunities to share and reflect about their learning experiences and reduce fear and judgment by their classmates. For instance, I use workshops where students work collaboratively in small groups to obtain specific results. For this purpose the more advanced or knowledgeable students, to provide guidance and cohesiveness, are mixed within small groups, usually two or three students per group. I use several workshops such as: the creation of a sales report using spreadsheets, the creation of an APA or MLA document in Word or the creation and exposition of a visual presentation using PPT. Once groups are formed, the members add their inputs while discussing the best approaches to produce the desired output. My intervention is limited to monitoring, when it is expressly required or when they reach a gridlock. When tasks are finished and workshops are presented, I have observed that the students who had difficulty understanding the concept have now acquired an understanding and are more willing to share their experiences without fear of being judged. At the end, all participants explicitly show a sense of completeness and are highly motivated to keep working. Finally, every class presents different motivational challenges for the instructor. We may teach the same class, the same topic, in the same classroom with the same technological resources, use pedagogical techniques, and try to accommodate all types of learning styles, but managing apathetic students require interest, dedication and consistency from us. For instance, at the beginning of each term I require every student to write his/her name on a quarter sheet of paper with big fonts using black or red color. (I do a demonstration on how to do it). Everyone has to place it on top of the computer facing me for easy reading. Therefore, from the onset, I am able to call every student by his/her first name. Quickly after one or two classes the apathetic student emerges and here is when the label with his/her name plays its role. I launch questions and by his/her name I require an answer. After several tries the student is forced to look for an answer, if still the approach is ineffective, I use approximation by being near the student while patting him/her on the shoulder for an example or asking for an opinion. A very recent experience was rewarding. I had a student who was openly apathetic and showed lack of interest in the class. The first two weeks I called his name for an answer or I walked by his desk waiting for his opinion. I repeated this approach consistently until the student started giving me input. By the third week we had built some kind of trustiness-relationship because he realized I was in the classroom not to fail him but to teach him and that home-works and quizzes were fairly graded and rewarded regardless of personal attitude. By the third week he had complied with all assignments. However, sometimes he acted like he didn’t care about the class but obviously his attitude had improved a lot from the first day. One class he was absent, and I texted him, but I did receive a response. The following class he showed up and came to me to explain his problems at work. From that day on, his class participation was normally active and the quality of his work had improved. He earned an A as a final grade. By implementing motivational techniques along with good content we are able to help a student at reach his academic potential and as a result help him/her make dreams and goals achievable. Student retention is accomplished only when students trace and see their path throughout school. Subject content by itself is ineffective if it is not combined with ingredients that energize students to reach their goals. Our own motivation generates levels of motivation that will sustain their progress and attendance. By identifying student’s uniqueness, the learning environment will become more adaptive and pleasurable for both students and instructors and therefore implementation of motivational strategies will be feasible and rewarding. Written by: Professor Ruben Saavedra. 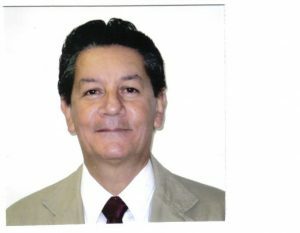 He is professor at Florida National University (FNU). Prof. Saavedra teaches Introduction to Information Technology. Recently, he received FNU’s Instructor of the year award.